The 2020 Austin Boat & Travel Trailer Show dates are Jan 3-5! The Austin Boat Show has been going on since 1972 and added Travel Trailers in 2010. We garner 7,000-9,000 qualified buyers at this event. Our attendees are either in or are looking to get into all the outdoors has to offer in Central Texas. We pride ourselves on qualified attendees! Exhibitor info will be available in July 2019. Email us to ensure you are on our mailing list! 2019 January Ten by Ten Space Contract. If you register online, this is also the terms and conditions you agree to. Booths are 10’x 10’ and include an 8’ backdrop and 3’ high side dividers. 2019 Prices are $850 for a corner booth and $750 for a non-corner booth. Electricity has to be ordered separately through the Austin Convention Center. Our current General Contractor is Tex-Expo. 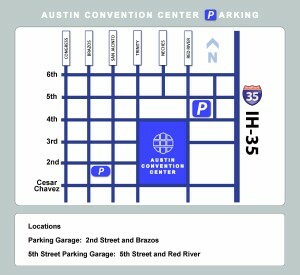 Parking in downtown Austin by the Convention Center is fairly easy with the 2 garages and valet available. However, walking or shuttling from your hotel is always a better bet. The Austin Boat & Travel Trailer Show garners 7,000-9,000 outdoor enthusiasts mostly from the Central Texas area. In Texas, if you are going to be selling anything at a show, you are required to have a Sales Tax permit. You can find all of the info here.